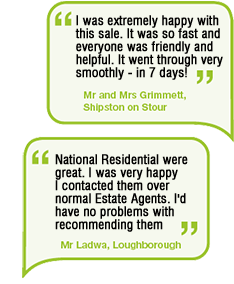 National Residential brings efficiency and enjoyment into buying a property through our unbeatable combination of outstanding online-bidding technology along with the personal touch provided by our local estate agency network. 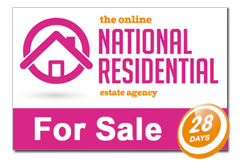 With National Residential you can bid on a property 24 hours a day from the comfort of your PC, iPad, Tablet or Smartphone. We use the very latest Online and SMS (Text Messaging) technology to enable buyers to monitor properties, place bids, arrange viewings, ask questions, and to keep buyers constantly informed of the current bids and the ‘Best and Final’ end dates for online bidding. Unlike other faceless online-agents, we also provide that all-important personal contact through our local estate agency network. We work with the very best local estate agents to carry out viewings and to assist buyers making offers on our properties. This provides buyers with the personal contact of an experienced local estate agent to help them through the bidding and buying process. Buyers simply have to register to bid with ourselves or with our local agent, view properties in the normal way, and then thoroughly enjoy the experience of buying with National Residential. We are instructed by vendors to sell their properties for the best price possible within just 28 days. Buyers must be chain-free and have either mortgage or cash funds to complete within 56 days. Before you are able to bid you need to register with ourselves for online bidding (unless you prefer to register and bid through one of our local estate agent partners). Successful buyers are required to pay a small holding deposit of 1% (minimum £2500) of the purchase price to secure a property together with any buyer’s fee which will be clearly listed in the property details where any exist. We therefore strongly advise that you carry out market research and due diligence on any property before you bid. All auctions (Registered and non-Registered) are subject to our Online Bidding Terms & Conditions – please ensure you read and understand these terms. You’ve seen a National Residential property online and you’re eager to view and bid for it, so your first step is to simply register your interest. For more details on registering, please see our Register To Bid page for more details. Once you have registered interest, you are able to book a viewing. We instruct local estate agents to help us conduct viewings, mainly through open days held during the week and at weekends, and you will be invited to attend one of these. Confirmation of your viewing appointment will be sent to you by SMS text. The duration of the online bidding is usually 28 days but can be shorter or longer. We run the online bidding until we are sure we have achieved best bid price for the seller. Sellers may reject the highest bid at the end of online bidding if it does not achieve their ‘Reserve Price’*. Sellers may also choose to accept a good offer and end the online bidding early. You will be updated regularly of current highest bids throughout the online bidding by SMS messaging. We send automatic notifications of the current highest bids on days 14, 21 and 27 and at 6.00 pm on the final day of online bidding. If you have made a bid, you will also be sent an SMS if you have been outbid. We endeavor to ensure ALL buyers are fully informed of bids throughout the online bidding process and have the fullest opportunity to buy any property. All properties are listed at attractive ‘Offers Over’ guide prices*. It’s important to note that this is a starting guide to generate interest and not the price the vendor is expecting to sell for. The seller will have notified us of their minimum ‘Reserve Price’ and we always intend to sell for the highest price possible through the online bidding time-frame. You can bid online, with your smart phone or by calling us on 01244 757152. If you bid online, you will be sent confirmation of your bid by SMS text. You will also be notified if you have been outbid and will be able to monitor other bids or increase your bid at any time online. You can now bid whenever you want, wherever you want, and as much as you want. When bidding on a property online you must increase the highest bid by the minimum bid increment (see table below). Simply place a higher ‘Maximum Bid’ online your bid will automatically increase by the minimum bid increment up to your maximum bid so that you remain the highest bidder.You are able to place a smaller bid increment of a minimum of £250 if bidding by phone. Please note that sometimes properties can be taken off market earlier when buyers make a significant offer earlier in the online bidding process that the seller is willing to accept. Unless an auction is ended early, online bidding finishes at 7.00 pm on the Best and Final date and all buyers will be sent SMS notifications of the current highest bid 1 hour prior, at 6.00 pm. If we receive 2 or more bids in the final minutes of an auction schedule, online bidding will be extended until we receive no further bids in the final minutes (the exact timings may be subject to change). Online bidding will then stop. When the online bidding has ended we send an SMS to the highest bidder requesting that they call the office the following morning so that we can qualify their bid. We also send an SMS text to the ‘losing’ bidders advising them of the amount of the highest bid. Our local estate agent partners will contact us the following morning with their bids. Therefore, although online bidding has ended, all buyers have a very short window to contact us to increase their bid while we are in this process of gathering all final bids and qualifying buyers. We allow this time so that we can obtain the highest price for the seller and because some buyers withdraw their bids because they are unwilling to pay a Holding Deposit. It is necessary that we have a back up from other buyers should this happen. Further bids can only be taken by phone at this stage. Although the qualification process usually takes just 24 hours to conclude, it can sometimes take up to a week as buyers may delay paying their deposits and problems may sometimes arise when financially qualifying buyers. Additionally, a seller may also choose a lower cash offer over a higher mortgage offer because certainty of sale is more important to them than a higher price. It is therefore necessary to obtain the highest mortgage offer and the highest cash offer to present to the seller. The online bidding process is formally ended once we are sure we have the highest bid, the seller has accepted this bid, and the winning buyer has paid their deposit and has passed the financial qualification process with our sales team. The successful buyer is required to pay a small holding deposit (£2500 or 1% of purchase price), any buyer’s fee clearly listed in the auction details and sign a Purchasers Agreement to secure their sale and for the property to be taken off market. This deposit is not an additional cost but is deducted from the purchase price, and forms part of the buyer’s overall deposit. It is paid to the seller’s solicitor on completion. The deposit is fully refunded should the seller withdraw from the sale. However, buyers risk losing their deposit and the buyer’s fee if they withdraw from the sale or try to reduce their purchase price before completion. A significant benefit for buyers paying this small holding deposit is that properties are immediately removed from market dramatically reducing the risk of buyers being gazumped. Over 95% of our agreed sales complete because we take this deposit and because sellers very rarely pull out. The *Reserve Price is the minimum price that the vendor has advised us is acceptable to them for selling their property through our Online Bidding sale. We do not publish Reserve Prices; this figure is a private agreement between the vendor and ourselves. Normally the Reserve Price will be set within the range of “Guide Prices” or by no more than 10% above a single *“Offers Over” Guide Price figure. Buyers should also be aware when they are bidding on a property that sellers may be flexible on price, and if we do not achieve the vendor’s initial Reserve Price, vendors may accept a lower price in return for a fast, certain sale. Therefore, it is important for buyers to make a bid and to ‘stay in the game’ so they never miss out on what could be a life changing opportunity to buy a great property. The *Guide Price is an indication of a seller’s minimum expectation at online bidding and given as a single “Offers Over” Guide Price figure or a range of Guide Prices. This is not necessarily the figure a property will sell for and is subject to change prior to the online bidding. It may also be reduced or increased at online bidding depending on the level of interest. Does the highest bid online automatically win the auction? Because some buyers remove their bids. Others buyers do not use online bidding and prefer instead put their offers through the local estate agent or to make their offers by phone. We therefore end our online bidding at 7pm (plus any bidding extension caused by bids received in the last minutes of bidding) so that the following morning we can then contact the local agent and all buyers personally by to confirm their bids. Our objective following the end of online bidding is to obtain the very best price possible for the seller from a chain-free buyer who is willing to pay a deposit. If I pay my deposit is my purchase guaranteed or can someone make a higher offer? When we receive a higher bid very soon after we have a buyer has paid a deposit (usually the same day or next day). Depending on the time elapsing between receiving the first buyers deposit we are required to put any higher offers to the seller. We agree with sellers that this timescale should be no more than 48 hours hence we advise buyers to pay their deposits as soon as possible to avoid this risk. There are also other instances where we have two or more buyers bidding on a property at around the same price. To ensure that buyers are genuine and that they are not driving up bids unnecessarily to the detriment of the other buyers, we ask all buyers involved in the bidding war to pay a deposit. This may result in us having two or more deposits on a property and the bidding will continue until we receive the highest bid. We might end bidding in such circumstances by asking all buyers to email us with the maximum bid. PLEASE NOTE: if a buyer lost out financially because the seller accepted a higher offer from another buyer we would immediately refund the buyer their deposit and we would endeavour to recover any out of pocket expenses the buyer might have incurred (receipts must be provided) by way of compensation. security amount, whilst all the unsuccessful bidder’s cards will have their shadow payments released (this can take several days depending on the card provider). All auctions are subject to a Reserve Price. If your maximum bid is at or above the reserve price the system will automatically increase your bid to be at the reserve, and will only bid again on your behalf if you are subsequently outbid by another bidder (up to your maximum bid amount). If another bidder has already placed the same maximum bid or higher, they will be the highest bidder and the system will notify you via email so you can place another bid. NB: Your maximum bid is kept completely confidential – its presence or amount are not disclosed to the auctioneer, vendor or any other bidder. ‘Registered Auctions’ will close as per the advertised auction ‘End Date’. However, if a bid is placed within the final 60 seconds of the auction’s scheduled end time, the auction will be extended by an additional 60 seconds – known as the ‘bidding extension window’. BID ‘SNIPING’ – DOES IT WORK? Unlike eBay, bid sniping will not work on our registered auction platform. There is no advantage in leaving your bid until the last few seconds; it will only initiate a 60-second bidding extension window which ensures every bidder has a fair and equal opportunity to place another bid. National Residential offer property for sale by ‘conditional’ auction contract. This means that the fall of the electronic gavel secures the winning bidder with an exclusive ‘right to purchase’ the property within the prescribed time frame – usually 28 days but this will be confirmed in the auction’s terms and conditions of sale. Unlike offline auctions, this gives you additional time to carry out surveys and secure your mortgage finance before exchanging contracts, whilst the seller undertakes not to sell to anyone else during this period. For more information about this process please read the detailed explanation in our ‘Online Auction Buyer’s Guide‘. We are a fast sale estate agency and pride ourselves on achieving sales in 28 days and completions within 56 days. Once we have received a Holding Deposit and Purchasers Agreement from the successful buyer, our expert sales progression team drives through completions quickly and in the 56 day time scale. We offer panel solicitors and mortgage brokers who act quickly and who are able to complete in these timescales. There is no obligation to use our panel solicitors or brokers but if you do, we are able to more easily manage the whole sale process quickly and efficiently. Our panel solicitors and brokers will also price match any quote that you may already have so you get all the benefits at no extra cost. Our sales progression team are highly experienced and motivated to drive through completions quickly. You never know what unforeseen obstacles might arise during the completions process but please be reassured that we are on hand to resolve all issues as quickly as possible and to help you every step of the way. Please Note: in some circumstances we may be uncertain of a property’s Market Value and the Reserve Price the vendor should set. In such circumstances we may ‘test the market’ for up to 7 days with a provisional Guide Price before we open the online bidding. Once we have ascertained the level of interest, we will agree the Reserve Price and Guide Price with the seller and open online bidding. Reserve Prices and Guide Prices will still be set within the rules specified above. We achieve great results in a short space of time because we aggressively market a select number of properties in a variety of media, both nationally and locally, for a limited time. Don’t miss out on a fantastic opportunity to buy a great property at a realistic price due to hesitation or delay. and make an offer today. 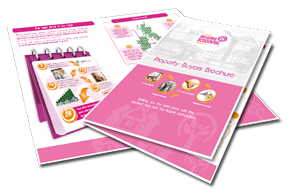 Why are your properties being sold at discounted prices and through an auction-style process? Sellers approach us because they require a quick and certain sale for many reasons. They simply do not have the time to wait 6-12 months to sell through a traditional estate agency sale. Our sellers require a quick and certain sale for their properties within just a few months and fully appreciate that in order to achieve a quicker sale they also have to be more realistic on price. However, although our sellers our sellers are motivated to achieve a quick sale, they also want a good price. We therefore provide sellers with a service to a quick sale of their property for the best price that can be achieved within 28 days. To achieve the best price in 28 days, we market all our properties at an attractive ‘Offers Over’ price and use our modern auction-style bidding process to obtain bids quickly. Assuming we obtain a price the seller is happy with, we require a buyer to pay a small Holding Deposit (of 1% + VAT or minimum £2500 + VAT) and any buyer’s fee to reserve the property, remove it from the market and secure the deal for both parties. How quickly do I need to purchase your properties? We request that buyers should do everything possible to complete within 56 days of agreeing to purchase a property. However, if buyers need a little more time than this (e.g to obtain their finance, extend leases, evict tenants) then additional time may be allowed provided agreement is obtained from the seller. We provide for a 56 days timescale (versus the usual 28 days through traditional auctions) so that buyers may purchase properties with either cash or mortgage. All buyers must be chain-free and will be expected to have proven funds. If buyers are relying on gifted deposits or the sale of assets to fund their deposits they must declare this from the outset. Buyers will be purchasing a property from a seller who has requested that we achieve a quick and certain sale for their property so buyers must be prepared to do everything they can to complete within the 56 day time-frame. Do you accept offers from people in chains or with a property to sell? We do not usually accept offers from people in chains or who have to sell a property before they can buy. Buyers must either be chain-free or have a guaranteed sale going through on their property (ie. has exchanged) before we would recommend our sellers accept their offer. Please note that sometimes buyers have initially told us they are chain-free only for us to find out they are in fact relying on the sale or refinance of another property to fund their purchase. Matters may then go wrong and buyers may either lose their deposits because they are unable to raise funds, or buyers have had to raise expensive bridging finance to complete their sales within the agreed timescales. We therefore request that buyers disclose all the relevant facts relating to their source of funds before agreeing to purchase any of our properties. Buyers Holding Deposits are at risk otherwise. There are no additional costs for buyers to purchase MOST* National Residential properties. *Where a fee does exist, it will be clearly listed in the auction details. Buyers are required to pay a Holding Deposit of 1% of the agreed purchase price (minimum £2500). However, this Holding Deposit is not an additional cost. The Holding Deposit is paid by the buyer to reserve a property and forms part of their purchase price funds. The Holding Deposit is paid to the seller’s solicitor on completion and the buyer pays the additional balance. Buyers will also be required to pay National Residential or their solicitor £300 on account to order local searches (or to purchase the legal pack if this is available). We pay this £300 to the buyer’s solicitor immediately so that we ensure that the buyers solicitor is formally instructed and they do not delay ordering searches. If the local searches eventually cost less than £300, the buyer’s solicitor will refund the balance on completion. Buyers will obviously have to budget to pay for their legal fees and mortgage valuation/broker fees if there are any. Why do you charge a Holding Deposit? We are instructed by sellers to achieve a fast sale and completion for their property. As a result, we will only sell to committed buyers who can complete quickly. To ensure this, we require buyers to be chain-free; to have funds available to complete within 56 days; and, to pay a small Holding Deposit to reserve a property. Most committed buyers are happy to pay the Holding Deposit as it is an affordable fee; it is not an additional cost; and, it is also refundable under some circumstances – please see clause 4 of our Online Bidding Terms & Conditions. Committed buyers benefit by paying the Holding Deposits, knowing their properties are removed from market and they are at a much lower risk of being gazumped and losing money on wasted costs. Will you refund my Holding Deposit if I pull out of the sale? If a buyer attempts to renegotiate the purchase price, or to withdraw from a sale, they risk losing their Holding Deposit. Holding Deposits are non-refundable for any reason other than the seller withdrawing from the sale and for certain other exceptional circumstances listed in clause 4 of our Online Bidding Terms & Conditions. Buyers are therefore requested to carry out all their due diligence and obtain mortgage ‘agreement in principles’ that is fully credit assessed BEFORE they agree to purchase the property and pay their Holding Deposit. Buyers do not have to use any of the panel solicitors we recommend and are free to use whichever solicitors they choose. Indeed, many of our professional buyers have long standing relationship s with good solicitors so we prefer buyers to use their own solicitors in these cases. However, where buyers have not previously worked with or built a relationship with a good solicitor, we prefer to recommend that they use a solicitor on our panel. Our panel solicitors have expertise in achieving fast completions within 56 days will also price-match any other solicitor’s fees so buyers have nothing to lose financially. We also do not make an referral fees from recommending solicitors – we do so only to improve speed and efficiency of completions. Why should I use your recommended brokers? Buyers do not have to use any of the panel brokers we recommend and are free to use whichever brokers they choose. Indeed, many of our professional buyers have long standing relationship s with good brokers so we prefer buyers to use their own brokers in these cases. However, it is often the case when inexperienced buyers use their own brokers a high proportion of these sales drag on or fail to complete at all because their brokers have chosen the wrong mortgage lender and they are either ill-experienced and/or under-motivated to prioritise completing in the quick timescales buyers and sellers require. We recognise that many buyers do not have relationships with good mortgage brokers and hence obtaining a mortgage can sometimes be tricky and hard work. We work with the UK’s leading mortgage brokers who are whole of market and who have experience in getting the tough cases through to mortgage offer. We also work with the brokers within our local Estate Agent partners who also have a vested interest in working hard to get the mortgage offer so the sale completes. Therefore, we are able to recommend several panel brokers who will go the extra mile to support buyers to get their mortgage offers quickly and successfully.